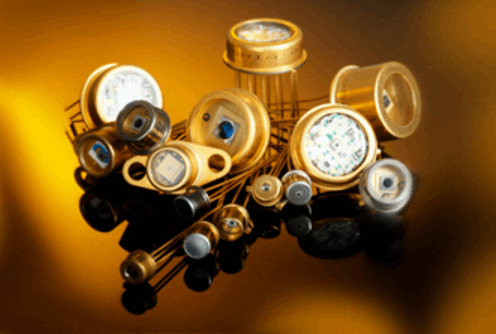 The Silicon Avalanche Photodiodes (Si APDs) from LASER COMPONENTS are designed for operation in the wavelength range between 250 nm and 1100 nm. These Si APDs are ideal for the detection of extremely weak light intensities due to the avalanche effect on them. The Si APD product range comprises high quality APDs as well as low cost models. Active areas range from diameters of 230 µm to 3.0 mm with even larger areas available at 5 mm, 10 mm, and 16 mm. Applications for these photodiodes include range-finding, LIDAR, laser scanners, speed guns, and optical communication systems. For more information on the different series of Silicon Avalanche Photodiodes, download the series datasheets and the catalog.